Model of Murine Pulmonary Aspergillosis - Comparative Biosciences, Inc. This is a series of HE and PAS stained slides demonstrating intra-sinus inflammation and fungal structures with Aspergillus fumigatus in the rabbit. 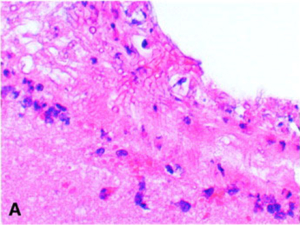 Murine models of pulmonary aspergillosis are important for the assessment of novel therapeutics and diagnostics, as well as for the study of disease pathogenesis. 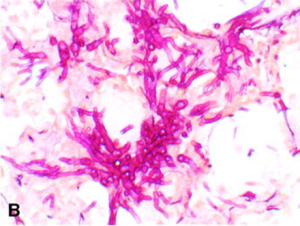 CBI has developed and validated a model of intratracheally-induced pulmonary aspergillosis infection in mice. 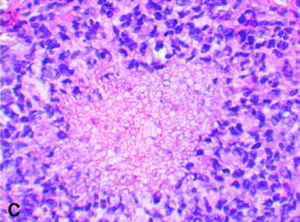 In this model, an infection in the lung is established and then various modalities for treatment are assessed. Contact Comparative Biosciences, Inc. to discuss a scientific study program to fit your Preclinical needs.